Comfort King™ Matting - Custom Lengths | Carolina Packaging & Supply, Inc.
3/8" patented Zedlan™ chemical resistance foam, anti-fatigue matting. 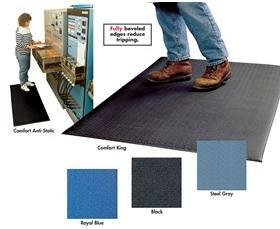 Provides 3 times the resilience of vinyl foam mats. Fully beveled edges reduce tripping. Designed with ergonomics in mind -- by inducing natural flexing of muscles, these mats reduce the build up of lactic acid that causes fatigue. Greater resilience reduces strain on feet, ankles, legs and lower back. Abrasion and slip resistant -- surface is easy to clean. Fully beveled edges reduce tripping. 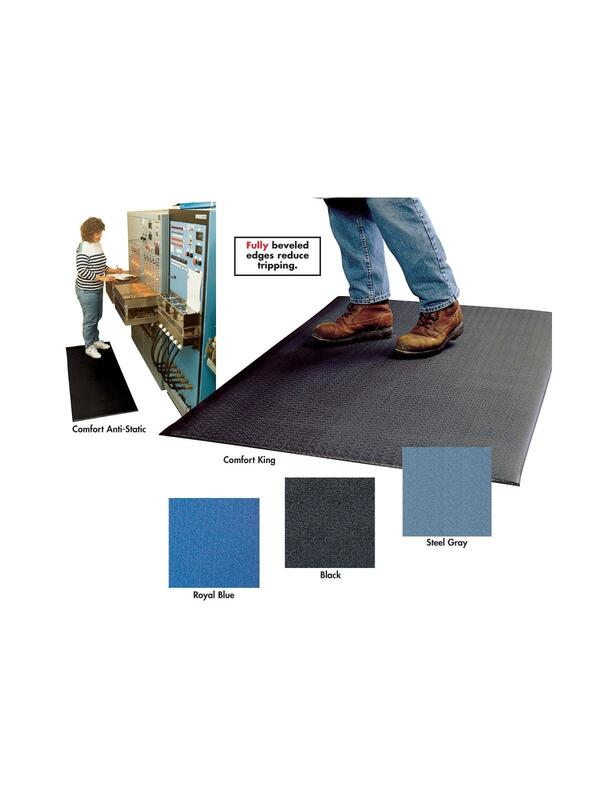 Anti-static matting (10 9 ohms per square) features grounding cords. Available in Royal Blue, Black or Steel Gray. FOB Shipping Point. See Related Items tab Comfort King™ Matting.